Another central listing changes hands as Arne Ploch and Tim Langmead at Camper & Nicholsons take over the listing of the 30.6m sailing yacht Gaia. Built by Spirit Yachts in 2007 in a lightweight wood epoxy and weighing less than 50 tons, Gaia is one of the fastest 100' cruisers ever built. She also comes with a brand new set of 3DL sails. This superyacht accommodates six guests in three cabins and is capable of speeds up to 19 knots. 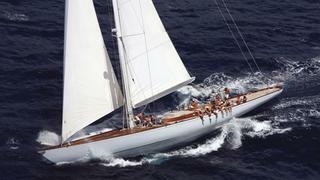 The asking price remains at €3.5 million.